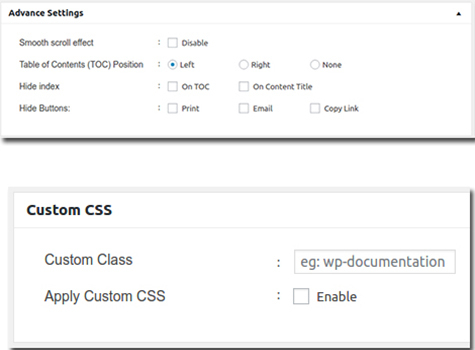 WP Documentation Pro is an flexible but easy to use plugin that will boost up the normal speed of creating a documentation. The plugin provides beautiful layout, features and settings that will make your documentation easy, readable and attractive. The plugin accepts various range of file types, embeds and code snippets which makes it the ultimate necessity whilst creating a dynamic documentation. WP Documentation Pro is an flexible but easy to use plugin that will boost up the normal speed of creating a documentation. 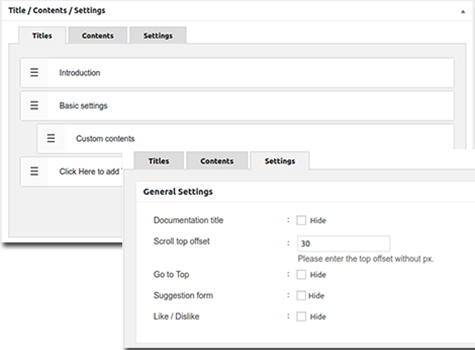 Plugin provides beautiful layout, features and settings that will make your documentation easy, readable and attractive. The plugin accepts various range of file types, embeds and code snippets which makes it the ultimate necessity whilst creating a dynamic documentation. WP Documentation Pro is equipped with user friendly media options like print, email and link sharing. Print instantly, email your friend or share the link just in one click away!